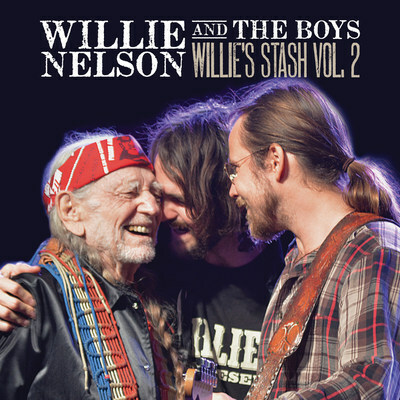 NEW YORK, Sept. 19, 2017 /PRNewswire/ -- Legacy Recordings will release Willie Nelson and the Boys, the eagerly-awaited second installment in the acclaimed Willie's Stash archival recordings series, on Friday, October 20. According to Willie, the album is "....kinda like the country version of 'Stardust.' Where you have all these great songs and standards that the young people have never heard, then all of a sudden you have a whole new audience out there." In February 2012, Willie Nelson entered into an historic new record deal with Legacy Recordings, the catalog division of Sony Music Entertainment, marking a label homecoming for Nelson, who, from 1975-1993, had cut a phenomenal string of top-selling singles and albums for Columbia Records, beginning with 1975's seminal smash Red Headed Stranger. New titles by the artist under the Legacy imprint will include newly recorded songs and performances as well as archival releases, personally curated by the artist, drawn from all phases of his career including his recordings for RCA Records and others. God's Problem Child, his 9th album for Sony/Legacy entered the Billboard Country chart at #1, making it the artist's second US country chart-topper in less than two years. 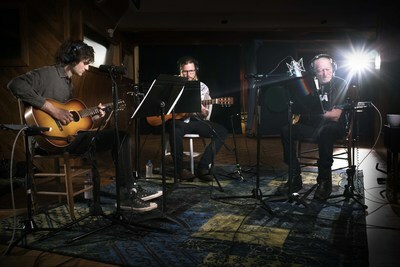 Nelson's 6th Legacy release, Django and Jimmie, an unforgettable musical collaboration with Merle Haggard, debuted at #1 on the Billboard Country chart in June 2015. Nelson's third Legacy album to break into the Top 10 pop charts, God's Problem Child was Willie's first album to debut all-new songs since Band of Brothers (his 4th Legacy release) reached #1 on the Billboard Country chart (and #5 on the Billboard 200) in June 2014. Summertime: Willie Nelson Sings Gershwin, Willie's 7th Legacy album, took home the Grammy for 2016's Best Traditional Pop Vocal Album. That album debuted at #1 on both the Top Current Jazz chart and the Top Traditional Jazz chart following its release in February 2016.